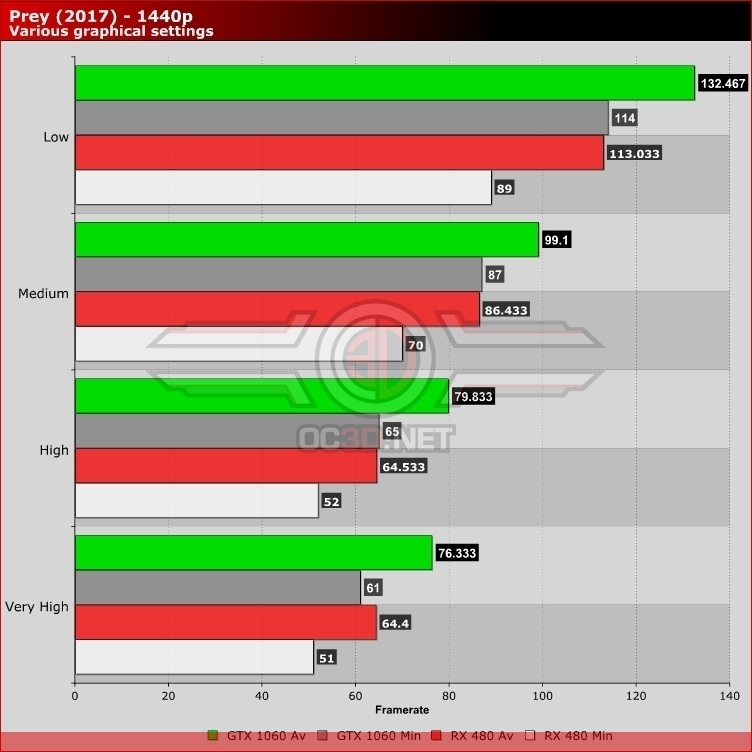 When comparing our RX 480 and GTX 1060 Strix models, we can clearly see that both AMD and Nvidia GPUs are affected by this new patch, but that only the Nvidia GPU is affected in a notable way at all graphical presets. Both our GTX 1060 and RX 480 offer reduced performance at Very High settings under this new patch, though at all other graphical presets AMD's GPU is completely unaffected by the patch. At low, medium and high settings, our GTX 1060 offers similar average framerates (slight reduction) but a notable reduction in minimum framerates. These framerates are still over 60, but they are certainly not as high as before.